This is my second book featuring detective Harry Bosch. This book is about investigation of a murder which took place close to two decades back. 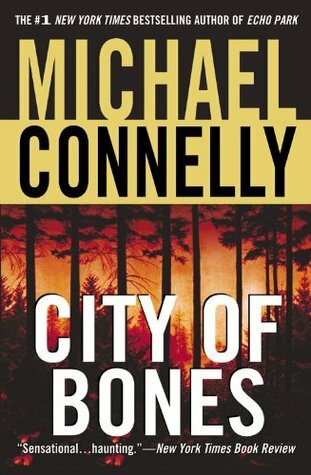 Harry Bosch was called to a crime scene when the bones of a child were accidentally discovered by a dog. Bosch did his due diligence and various suspects were investigated including a Hollywood set decorator, the father, sister and a childhood friend of the victim. During the course of the investigation, he had a short affair with one of the fellow uniformed officers and tussle with his deputy chief. The climax reveals the reason of the murder as mere greed (won't reveal what, else the plot will be out) and the story ends with Bosch turning in his badge and walking away from his office. This book is one of the faster book in the slow investigative books and keeps the reader interested through out the story. There are no unnecessary descriptions in the book. Overall a simple storyline and nice read. Sign into Goodreads to see if any of your friends have read City of Bones.